After my homeschool curriculum forum on music, I was contacted by the nice people at Walden Pond Press to see if I wanted to review their music products and do a giveaway for you all! And of course whenever there’s something in it for my readers I’m all ears! 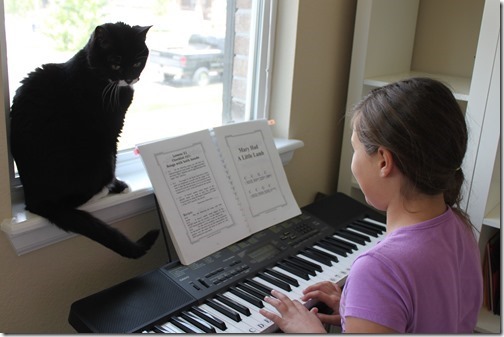 As I mentioned right now we are all working our way through our own Piano lessons using the Piano is Easy series. 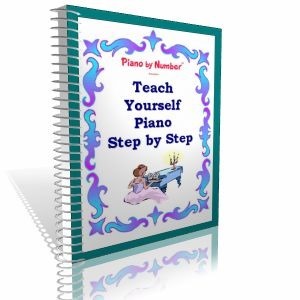 We started with Teach Yourself Piano Step by Step. Right now we alternate piano and typing lessons, so they are doing piano about twice a week right now which is clearly not enough. I have noticed them playing here and there during off school hours which is also great. I do like these lessons and they progress through slowly, but teach actual songs as they go so students feel like they’re learning quickly. And they’re excited to be able to play songs they know as well. I am happy with these books, however at some point, I do think we’ll need to move to an actual “live” piano teacher to progress further, but we’ll see. I’ve actually been working on them as well since I haven’t played piano in years! Once started, students can mostly do the lessons independently with just a small amount of teacher guidance. So far we’re only through the first book, but I’m thinking we’ll need regular lessons at some point. I have a set of the Children’s Multi-pack of books to giveaway to one of you! 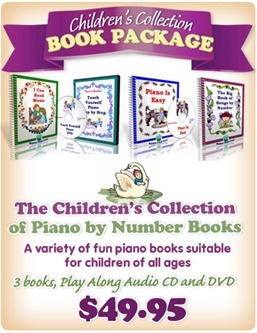 The set includes the PIANO IS EASY, BIG BOOK OF SONGS, and I CAN READ MUSIC, plus the 56 minute DVD from TEACH YOURSELF PIANO. Just fill in the Rafflecopter below to enter! Would love to try this program! What a fantastic giveaway! We just inherited by grandfather’s piano, but no one in the house knows how to play. Thanks for the opportunity to win! This is great! Already starting to teach my kids, but this would be so helpful! This is one of the next things on our list to purchase for this next school year! Free is even better then BIGI free for the downloads. Thanks for the opportunity to maybe save some $$ 🙂 Your so good to us Erica! God Bless. Wow! my girls are just starting piano, and LOVE it!! My 12 y/o asked for a keyboard for her birthday! She is wanting to learn to play, this would be a great start for her. I would caution against starting out with numbers. I am still having a hard time learning the notes because that is how I started learning as a child. My first instinct is to think of the number associated with my fingers instead of reading the music and knowing which note it is on the keyboard. I understand that it will peek their interest and make them feel successful, but I’m not sure it’s worth it. I make my six kids do it the right way and none of them complain about it. They love to play every day. I’m not saying that some of them won’t figure it out later…this is just my personal experience.